Wisconsin Child Sales Tax Rebate – Claim May 15 – July 2, 2018! 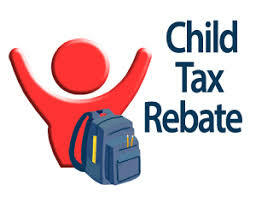 Only in Wisconsin….Did you know you can claim a Child Sales Tax Rebate? – Online at childtaxrebate.wi.gov. This will be available 24 hours per day/ 7 days per week, this method is the fastest and most convenient way to claim the rebate. Applications can be processed using a computer, tablet, or smart phone. – Telephone at 608-266-KIDS (5437). This will be available Monday – Friday, 7:45am – 4:30pm, a customer service representative will file a rebate claim on your behalf. This option is available for those who do not have access to the internet or have issues using the online application. There may be significant wait times for a representative. More information is available on the Wisconsin Department of Revenue website at this link – https://www.revenue.wi.gov/Pages/FAQS/ise-ChildTaxRebate.aspx#1. This entry was posted in Blog on April 25, 2018 by c06675329.